Fans of athletes know their hero’s tattoos these days. So when a video game maker wants to create a realistic sports game, of course they want to get down every detail of the most iconic players by including exact copies of their tattoos into the athlete’s game avatars. A series of copyright lawsuits brought by tattoo artists or the companies they licensed their art to may change all that. Take-Two Interactive and its parent company 2K Games face a number of lawsuits over the use of tattoos in their NBA 2K series. While only a handful of athletes used in the game have copies of their real-life tattoos, some of those are the biggest names in the sport, including LeBron James, whose avatar has “Gloria” tattoo among others. There is no question that original tattoo designs can be copyrighted. After all, to obtain copyright in any work of art it just needs to be original and transfixed onto some sort of medium – canvas, film, or skin for example. And while the artist who creates it owns the copyright in it, cases regarding tattoos have generally held that the owner of the tattoo, who commissioned the work and sports it on his person, is either a co-owner of the copyright or has an implied license to use the tattoo as they want. Some tattoo artists are happy for the recognition they get when their designs appear in the games. Its understandable, many more people will see it on the game than on television so the exposure is enormous. In a NY Times article about the lawsuits, tattoo artist Gotti Flores said he was surprised when the makers of the popular Madden NFL game called to ask him for permission to re-create the tattoos on Tampa Bay Bucs receiver Mike Evans. “It was dope to have my tattoos on there,” he stated. He gave them a waiver to let them use it without compensation. (Call a lawyer next time Mr. Flores – preferably me!). 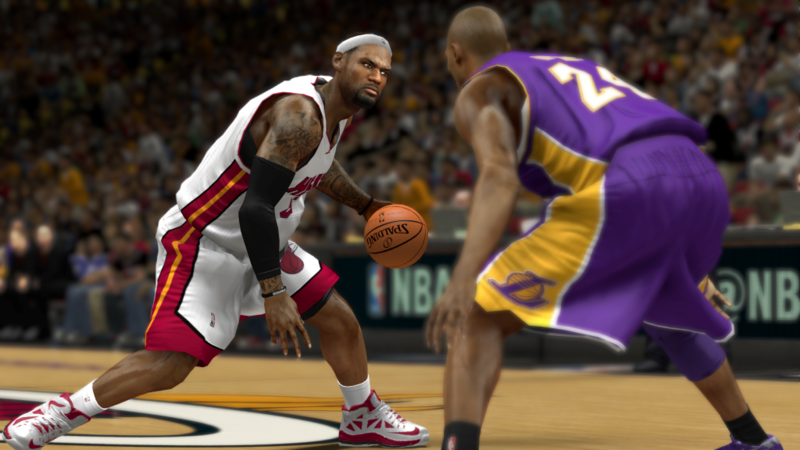 The catch in the NBA 2K lawsuit is that the plaintiff in the case is not the artists. Rather its a company called Solid Oaks that seems to have seen a potential income stream in these types of cases. According to the NY Times article, Solid Oaks approached various high-profile tattoo artist and told them they were thinking about starting a clothing line using their designs. The artists assigned the copyrights in their works to Solid Oaks who never started a clothing line but instead filed a handful of these tattoo lawsuits. So in a large sense these are just the latest version of copyright trolling. But Solid Oaks has survived the first round when Federal Judge Laura Taylor Swain denied 2K’s motion to dismiss. 2K had made a few different arguments: First they argued that the tattoos are barely visible and seen only in flashes – therefore even though there was actual copying the use and infringement if any were minimal or as we say in court de minimus. The court looked at cases involving works like paintings and posters that were shown in the background of movies. Some held that a few seconds were not de minimus because the scene focused directly on the art work while other cases said that repeated flashes for seconds over a period of several minutes was de minimus. But the court here said that video games are different because how much of Lebron James you see on screen depends on how you use him in the game so there is no actual set time that the tattoos are exposed. Solid Oaks is suing for millions of dollars in damages but they may be hurt by a decision out of a federal case from 2013. In that case, a tattoo artist sued game developer THQ for use of his tattoos in the THQ game UFC Undisputed. When THQ filed for bankruptcy, the court decided that the use of the tattoo was worth only $22,500.00 in damages. Low damages may not stop the lawsuits however as copyright troll attorneys like to file them even if they have low expectations of damages as a victorious plaintiff in a copyright case can get the defendant to also pay his attorneys’ fees. These lawsuits raise greater issues as well. Filing these claims essentially thwarts an athlete from making full use of his likeness as he sees fit. Shouldn’t Lebron James have a greater say in how he is depicted as opposed to the tattoo artist who took money and was ecstatic to have their work on a famous athlete? If Solid Oaks is successful, then athletes and game developers will have to get permission from the tattoo artists in addition to the athletes themselves. The likelihood is that if that becomes the law, then the developers will just stop using the tattoos, diluting the game’s realism and eliminating the valued exposure to the artists. The other solution is for athletes to have the tattoo artists sign a release or an assignment of their copyright to the athlete, thereby extinguishing the artist claims and putting an end to these claims for good. The game is a game of a game and the litigation is a game upon the game of the game.